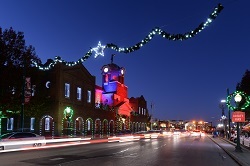 GRAPEVINE, TEXAS - THE CHRISTMAS CAPITAL OF TEXAS! Grapevine, Texas - The Christmas Capital of Texas! 3 nights / 4 days or 4 night / 5 days Take your group to beautiful historic Grapevine, Texas. Guests will be warmly welcomed with a big Texas "Happy Holidays" and lots of great Chr.. Your group will love to see the hundreds of thousands of tulips that blossom in the city of Holland, Michigan each year in May. We will include the full tulip time experience for your group with attractions like;..
Travel to historic Gettysburg, Philadephia and Lancaster in Pennsylvania. Your tour group will be thrilled with all of the history that lives here, as they hear the fascinating stories told by 'Robert E Lee' and 'Abraham Lincoln".&nbs..
See the best destinations that the beautiful state of Michigan has to offer. Take a horse-drawn carriage tour of Mackinac Island State Park , Michigan's first state park. Mackinac Island is home to natural landmarks such as the limestone form..
Canada's East Coast is home to some of the most iconic natural wonders in the world. 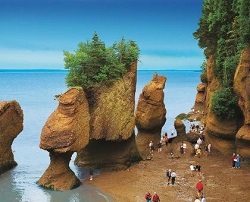 Spoil your group with this rich and dream-worthy tour including; Hopewell Rocks, Bay of Fundy, Anne of Green Gables,..
During the Tulip Festival events will be taking place throughout the city, including Byward Market - where you will find many of the Festival's feature attractions, including live music presentations,..
Let us plan a spectacular tour for your group to Niagara Falls, ON . 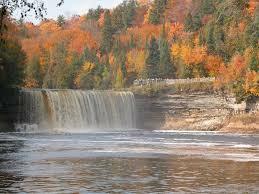 It is the perfect place to visit for groups of all ages. 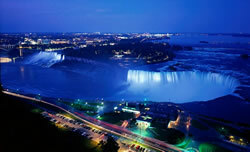 Your group can customize the package to include as many or as little activities as you like including:..